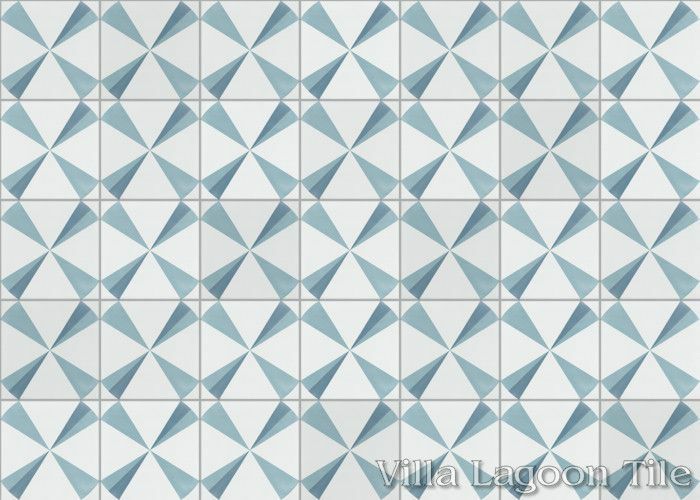 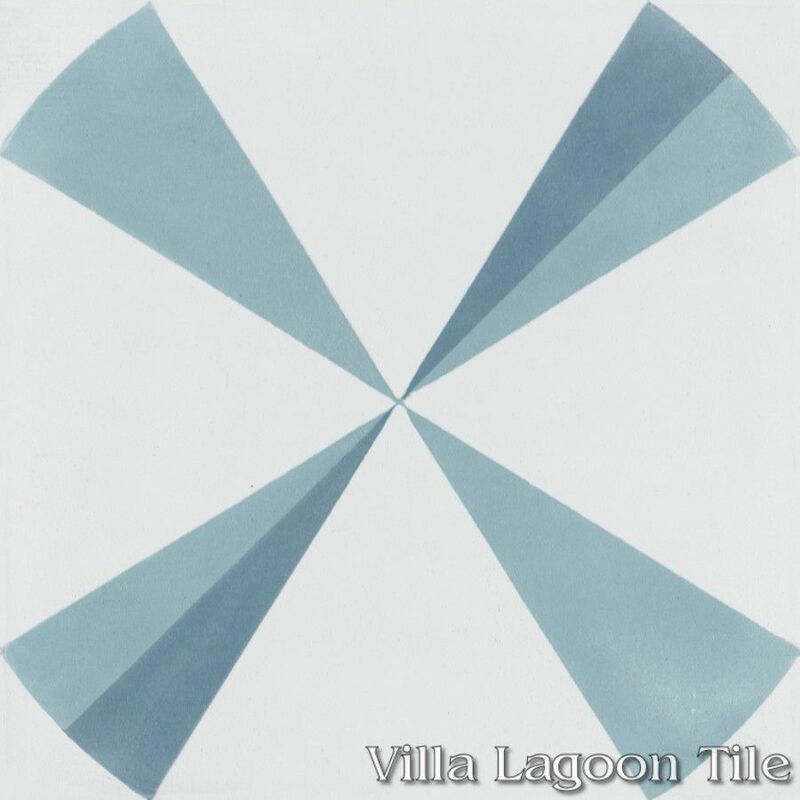 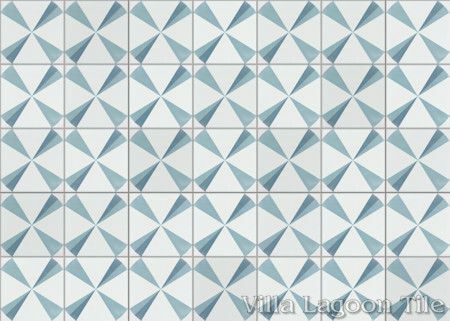 This is a 3-color 8" cement tile, using White, Stone Blue and Velvet Sky from the South Beach Palette. 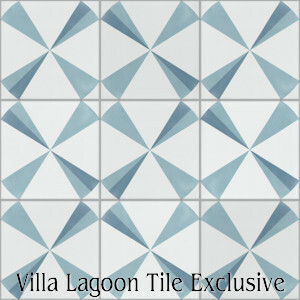 This production features our new, exclusive "Polaris" geometric cement tile pattern . Two-tone blue stars across a white background produce diamonds in the negative space.